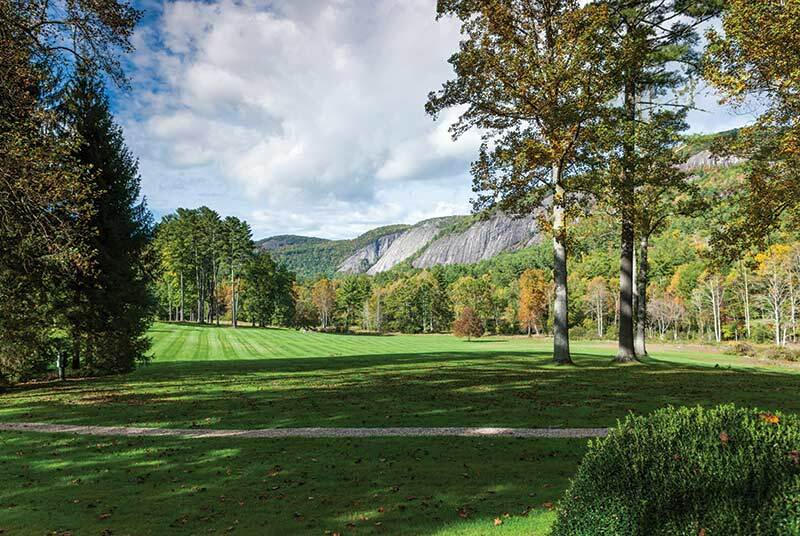 The majestic beauty of the mountains of North Carolina had lured this family for 30 years before they decided to build their own dream home in the Cashiers area, a collaborative effort the homeowner says feels so right. For years, the family had shared a small home with another family, but as the children grew and had children of their own, more space was needed to enjoy the hiking trails, gorgeous views, trout fishing, and fun activities that initially attracted them to the area. They also needed space to spread out a board game or curl up with a good book. 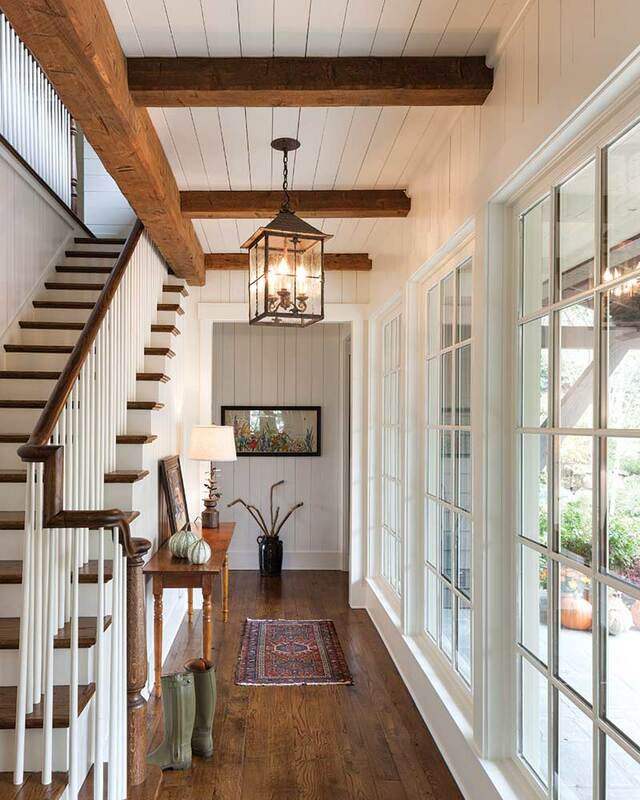 A team of two North Carolina firms was formed for the initial architectural plans with architect Sam Edgens to design the home and builder Sadlon & Associates to construct it. 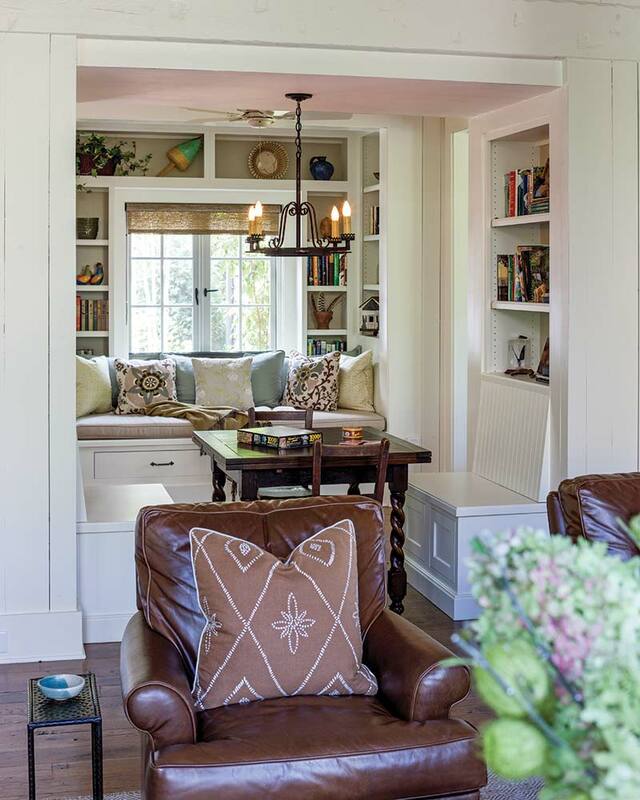 Designer Margaret Bosbyshell was chosen to place the clients existing and new furniture, rugs, and collections into the design of the new house. Margaret Bosbyshell is best known for reflecting the lifestyle of the client. She has handled a variety of design projects from city to mountain to lake. 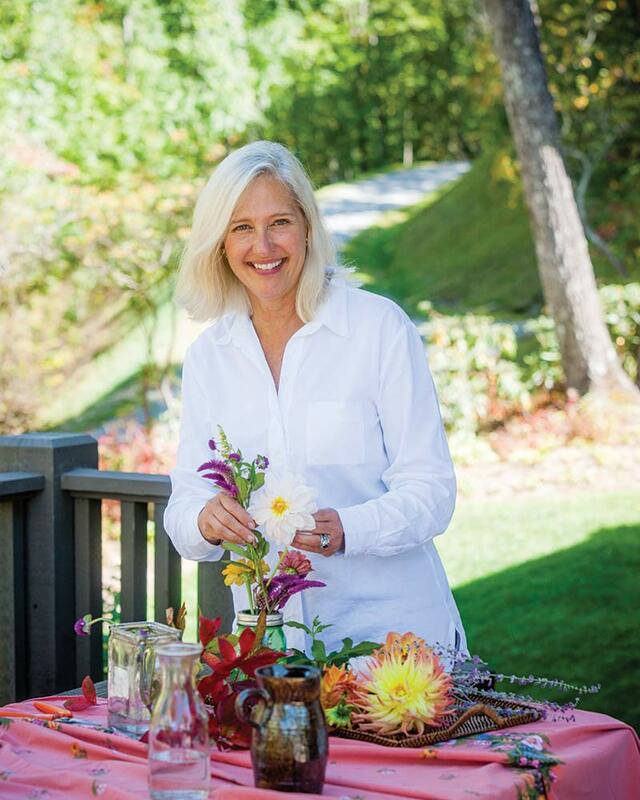 From Vail, Colorado, to Nantucket, Massachusetts, she has made her design mark well known. Growing up she learned from her father, a furniture manufacturer’s representative, and was exposed early to the busy life of the Atlanta Merchandise Mart. She grew to love the fabrics, furniture and accessories. 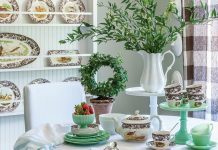 After graduating from the University of Georgia with a marketing degree, she realized she wanted to be in the decorative arts business, and worked at the Atlanta Decorative Arts center for Payne Fabrics and Kittinger Furniture Co.,while attending the Art Institute of Atlanta. She also studied in London. In 1982, Margaret started her design firm, Margaux Interiors Ltd., as a full service designer. 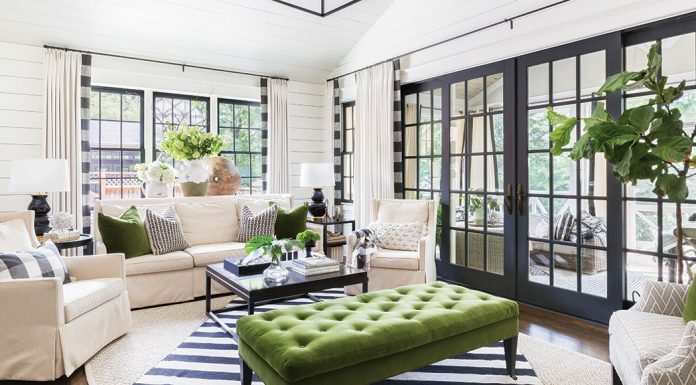 The family’s favorite room is the fireside great room, which connects to the open kitchen and dining area, and features large windows. And whether you’re gazing through one of those windows, relaxing on a porch, or nestling into a roomy window seat, you’re sure to find unmatched views of the mountain face. 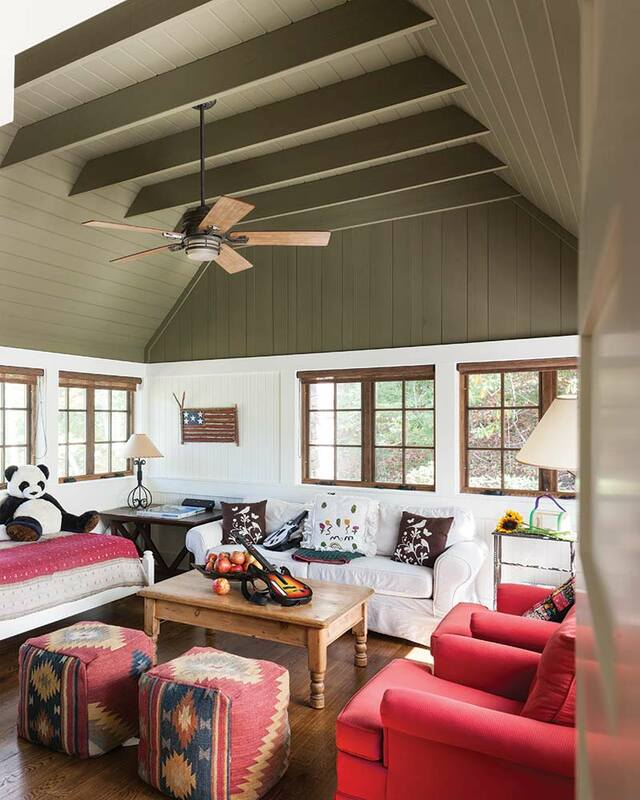 Lonesome Valley, a planned development with timbered bridges and 800-acres of forests and meadows, tries to keep the environment in harmony with nature by requesting house paint colors and materials, such as roofing, blend into the landscape. The homeowner says the color scheme is in sync with the setting. “We get lots of compliments on the beauty of the house and love the home’s natural colors because they feel so right for the mountains,” says the homeowner. Lighting also is limited by the homeowner’s association so the night sky is dark, and stars shine through. 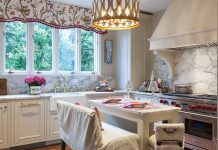 Pleased with the results from the design team, the homeowner says the home is a great place to entertain in a wonderful and familiar environment her family and friends love. 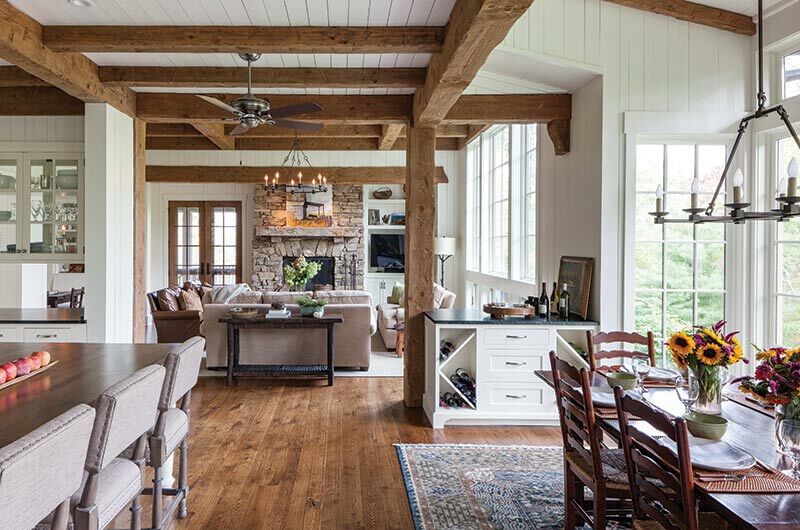 “We are thrilled with how the house turned out because it feels farm casual, is up to date, it is easy to entertain both small and big groups, and the house design is timeless,” she says.